I woke up feeling like a creature. 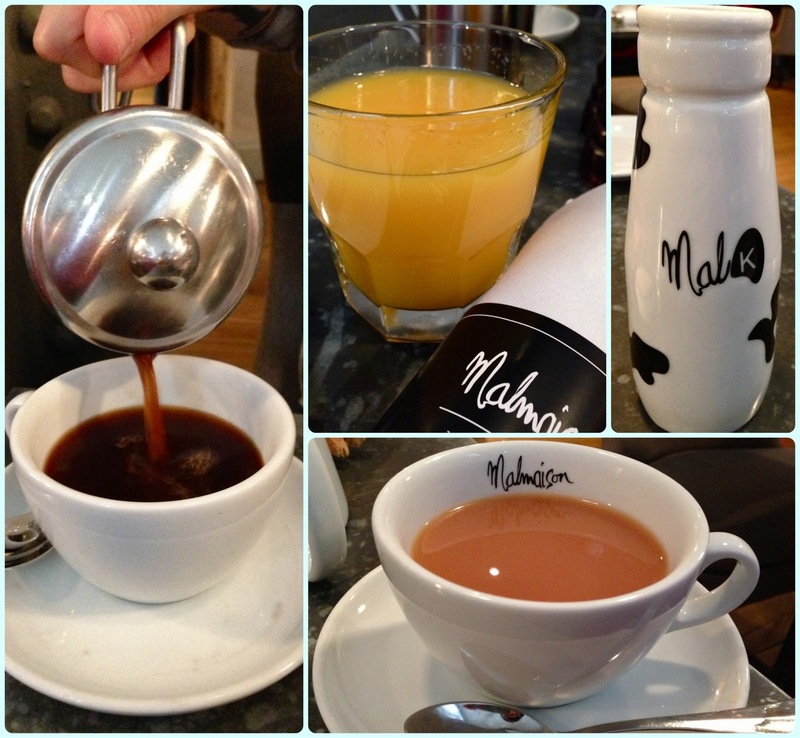 We had stayed at Malmaison Manchester after a night out at Solita, and despite my disposition, I was rather excited about breakfast at Smoak. I was also hungry like the wolf. Smoak is a rather stylish place indeed. Seating arrangements come in the form of relaxed custom chesterfields, red leather bar stools, or booth style tables. 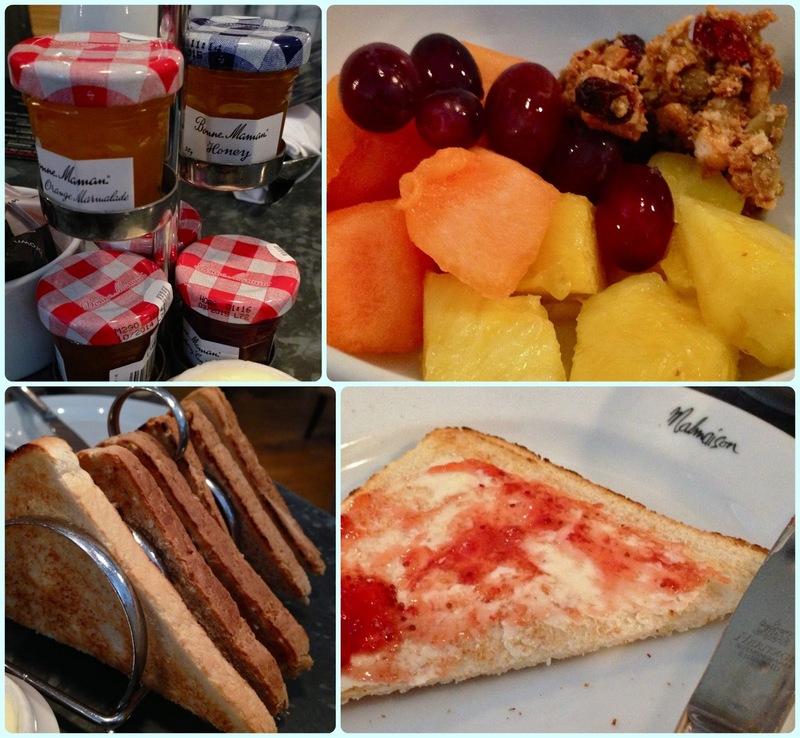 Breakfast is a leisurely affair at Smoak. We were presented with a menu, and told to help ourselves to fruit, cereals, pastries and juice whilst we decided what to order. Toast is simple but perfectly done, and comes with a little tree of condiments, including jams, marmelades and honey. The butter was room temperature too - extra brownie points. 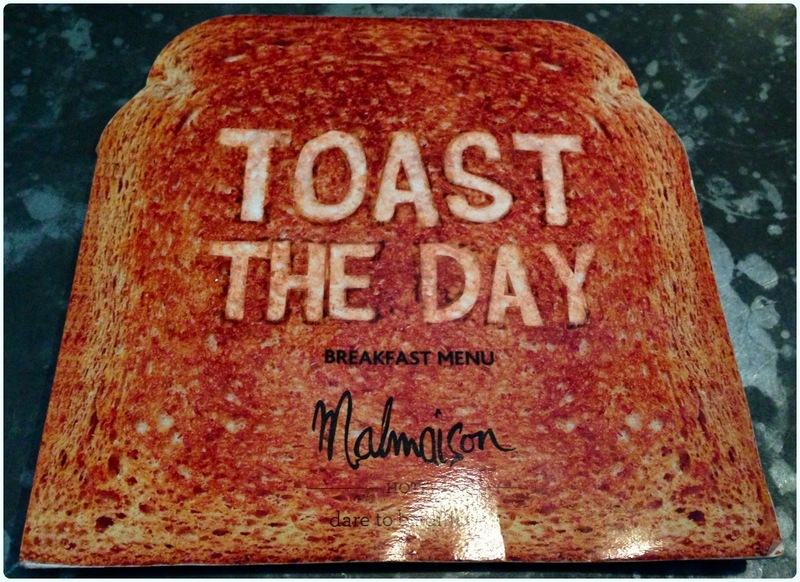 No-one wants destroyed toast at 8.45am on a Saturday morning. Onto the mains. 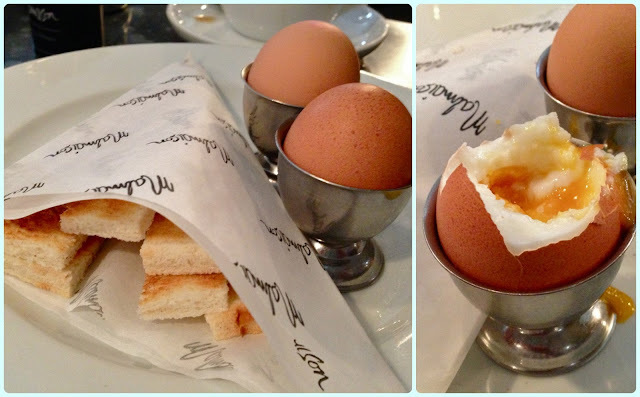 My husband went for the boiled eggs with soldiers, which he asked for runny. They arrived perfectly cooked with a 'cone' of soldiers. 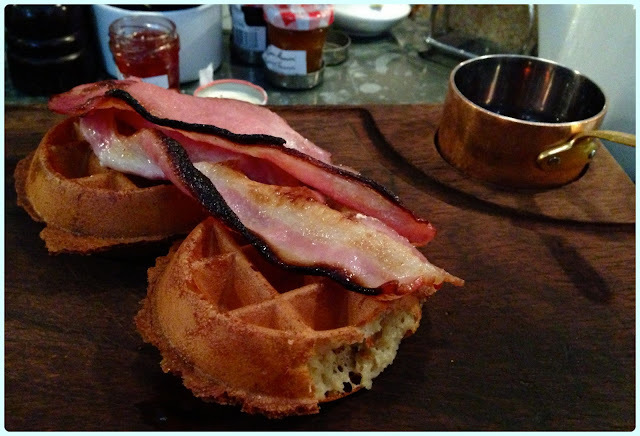 I ordered waffles with smoked bacon and maple syrup. These are the home made type, not the solid shop bought monstrosities, and the bacon was crisp with charred edges - perfect. I practically cremate bacon at home. You have to applaud an establishment who gives you a pan full of syrup. Three cheers for Smoak! The waffles were delectably soft on the inside with crisp edges. 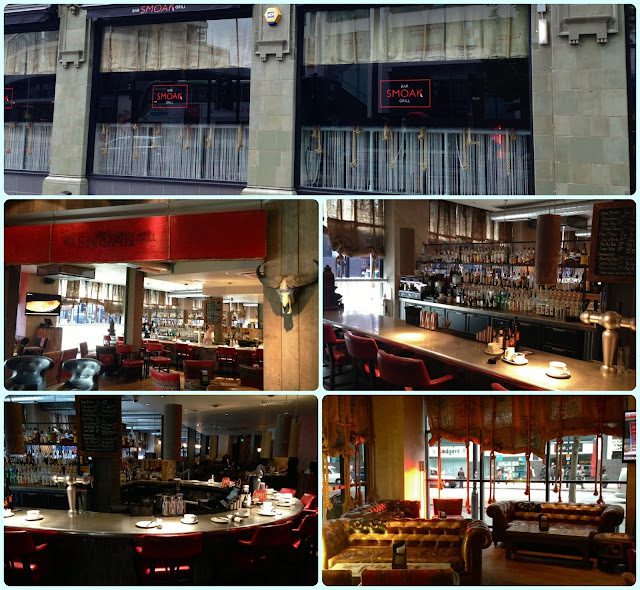 I went to Smoak Bar & Grill fairly recently for a nice girly dinner. Maybe you could read my post on it over here, you should definitely go for dinner!